Are you asking why there are so many people running for President? Most of them know they have a slim chance of winning the presidency or any other political position for that matter. Who are these guys/gals pictured here from a New York Times web page of May 30, 2014? Presently there are 13 Republicans running and 5 Democrats. 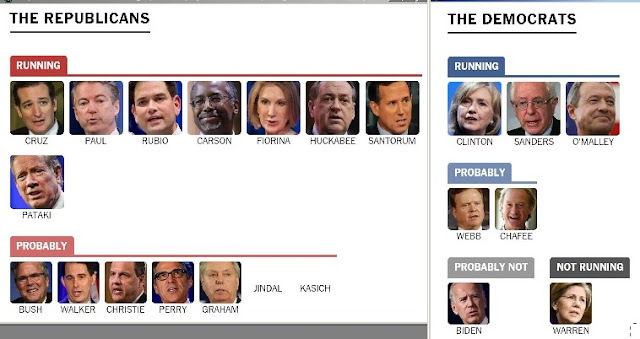 In 2000 there were 9 Presidential hopefuls on the Democratic side and 11 on the Republican side. I am surprised that the number of candidates running for President over that time period is not much different. 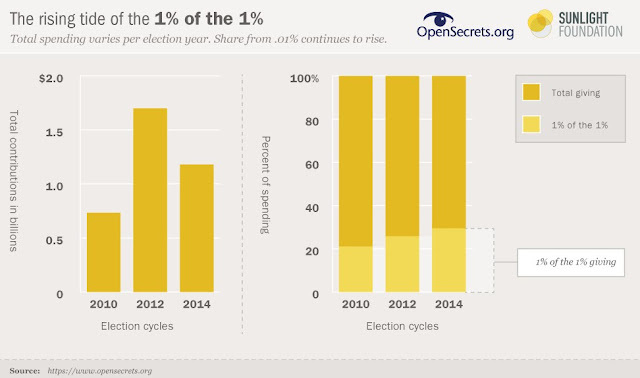 Per OpenSecrets.org the amount spent is not much different either as shown by the chart below. The difference in total spending from the 2000 presidential election to the 2012 election amounts to only a 5.28% yearly increase. This is lower than expected. At the same time the percentage increase for congressional raises increased by 6.77% . 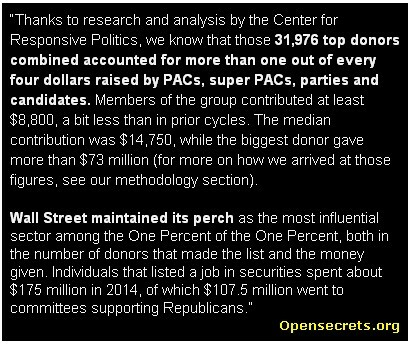 Citizens United was past in 2010. The amount of spending has not changed much, but where it is coming from as depicted by the graph below taken once again from the website opensecrets.org. is shifting to the very wealthy. The quote below verifies that although total spending on elections is not rising rapidly but who is spending it is shifting to the super wealthy.